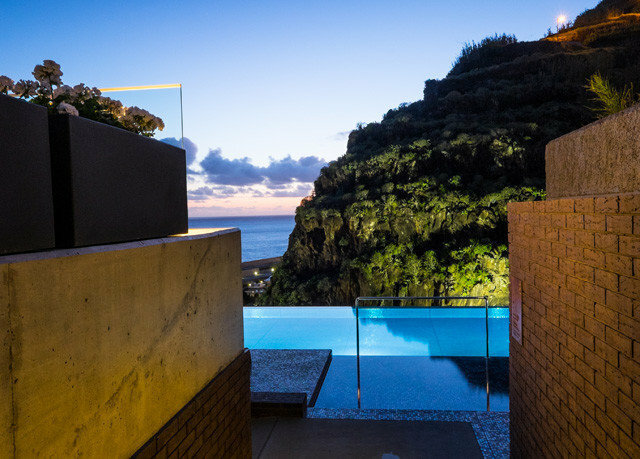 Located in the North Atlantic Ocean, the Portuguese archipelago of Madeira is a treasure trove of scenic coastline, lush landscapes and beautiful beaches. 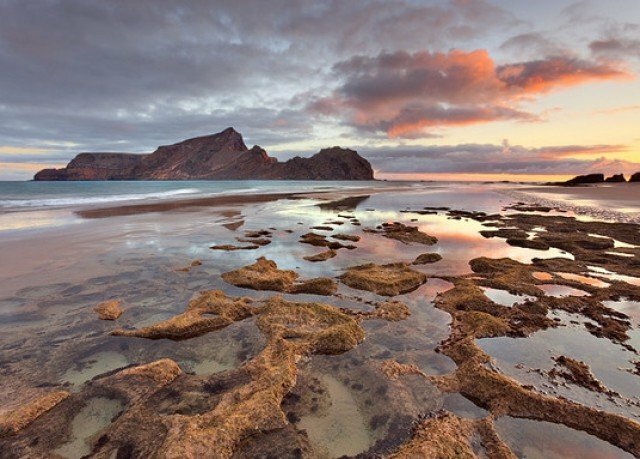 When you’re not whale- or dolphin-spotting off the island, you could be marvelling at a majestic waterfall or pottering around a historic village. 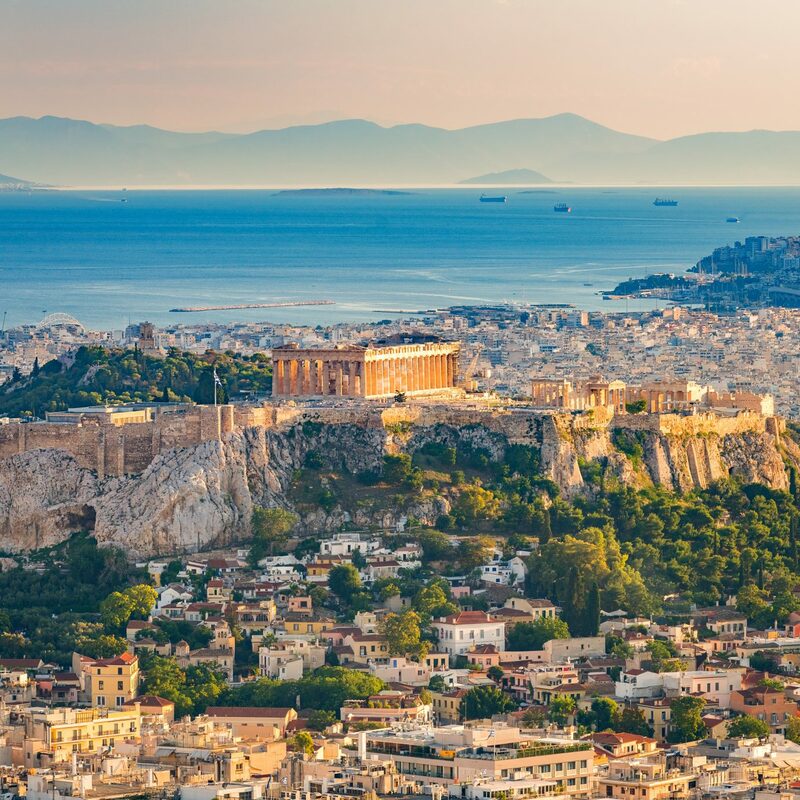 Needless to say, throughout its land and sea, country and town, this little island packs an impressively big punch. 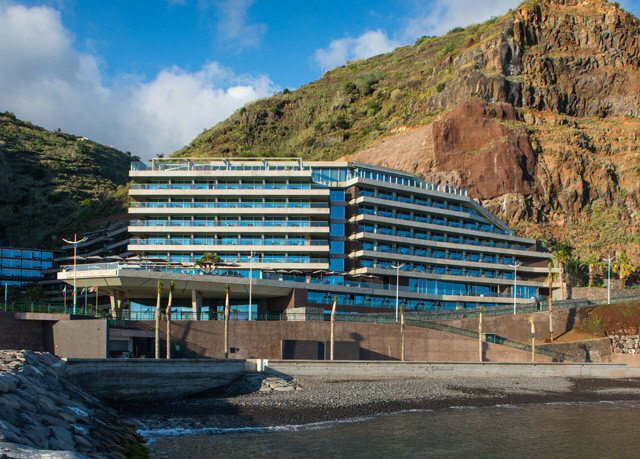 Discover Madeira’s unique charms with an unforgettable stay at a brand new hotel, opening for 2015. 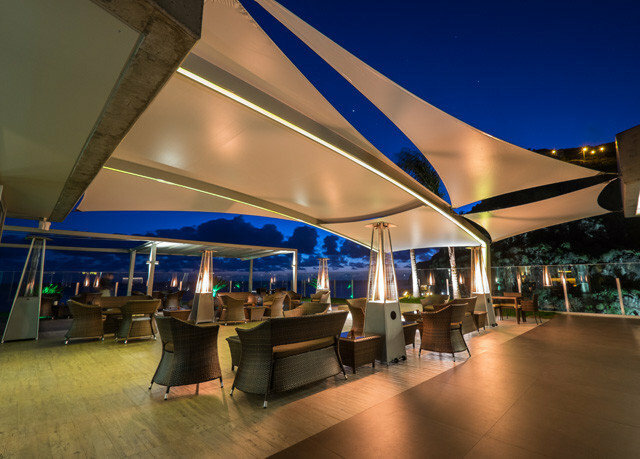 Named after the island’s old sugar cane economy, Saccharum Hotel Resort & Spa is a boldly contemporary venture with a magnificent modern design. 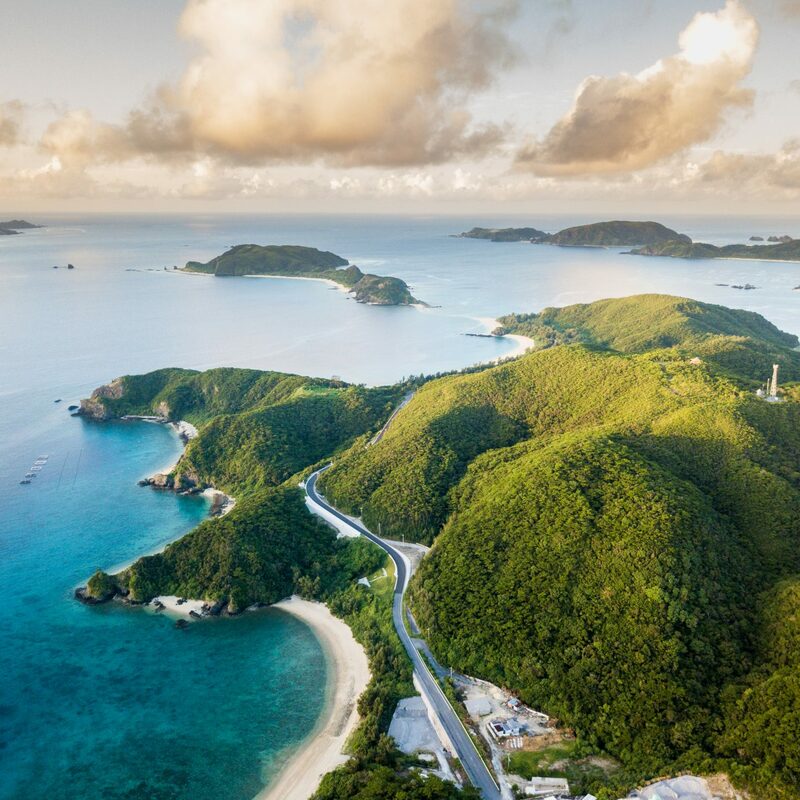 Built on the site where an old sugar cane mill once stood, Saccharum Hotel was created to complement its natural surroundings and sits proudly between the gorgeous mountains and the dazzling ocean. 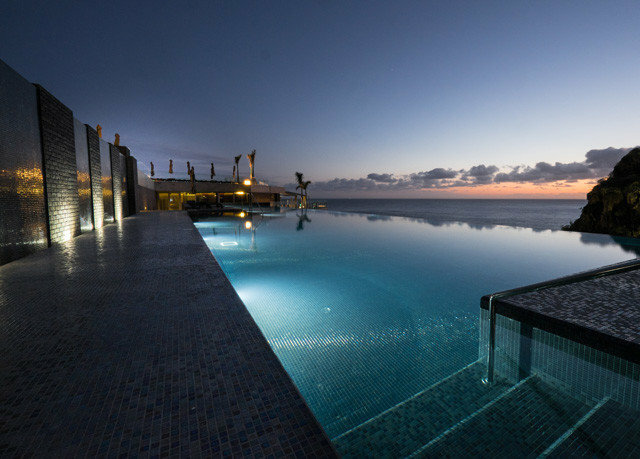 As you might imagine, the facilities here are upscale and incorporate a heated indoor and two outdoor swimming pools, a spa and fitness centre, and a squash court. 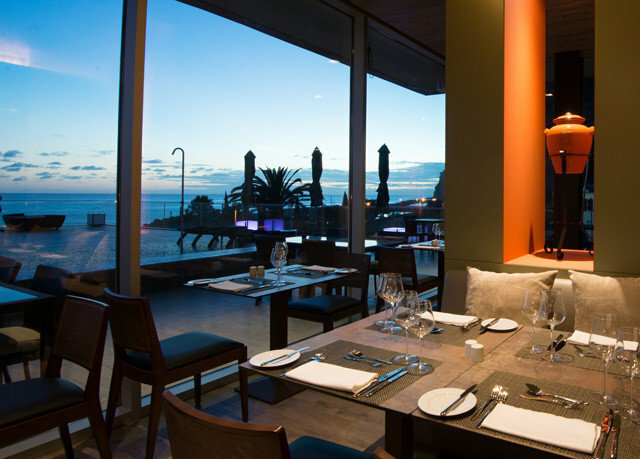 Four bars and two restaurants make up the chic eating and drinking options, and a terrace barbecue allows for al fresco dining with superb ocean views. 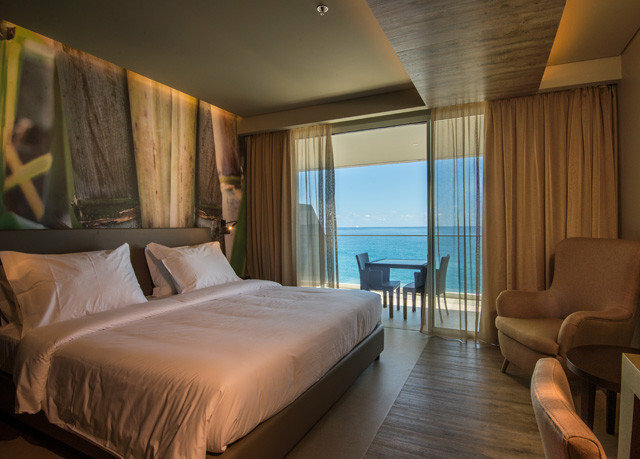 Like the rest of the hotel, rooms are suitably sleek and incorporate the island’s affinity with sugar cane into their décor. 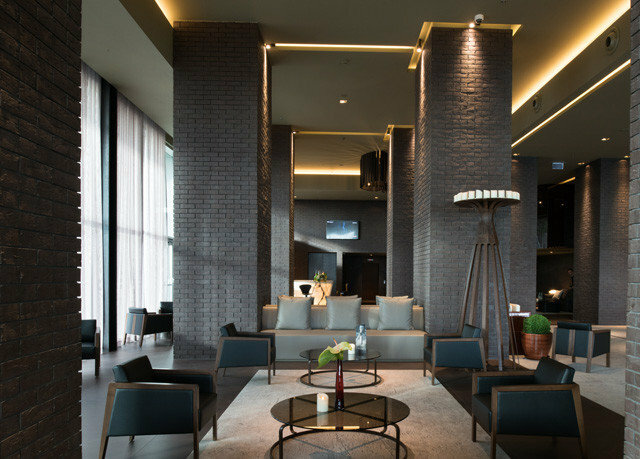 Saccharum Hotel is home to 180 rooms, five suites and 30 apartments. 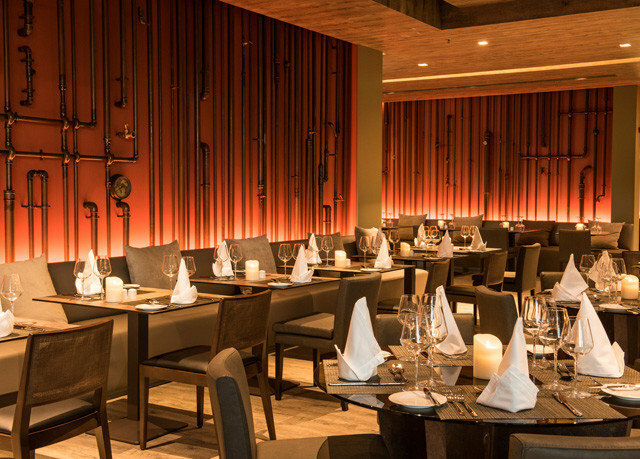 Each are decorated to a luxurious standard, and adopt the area’s sugar cane heritage as part of their theme. 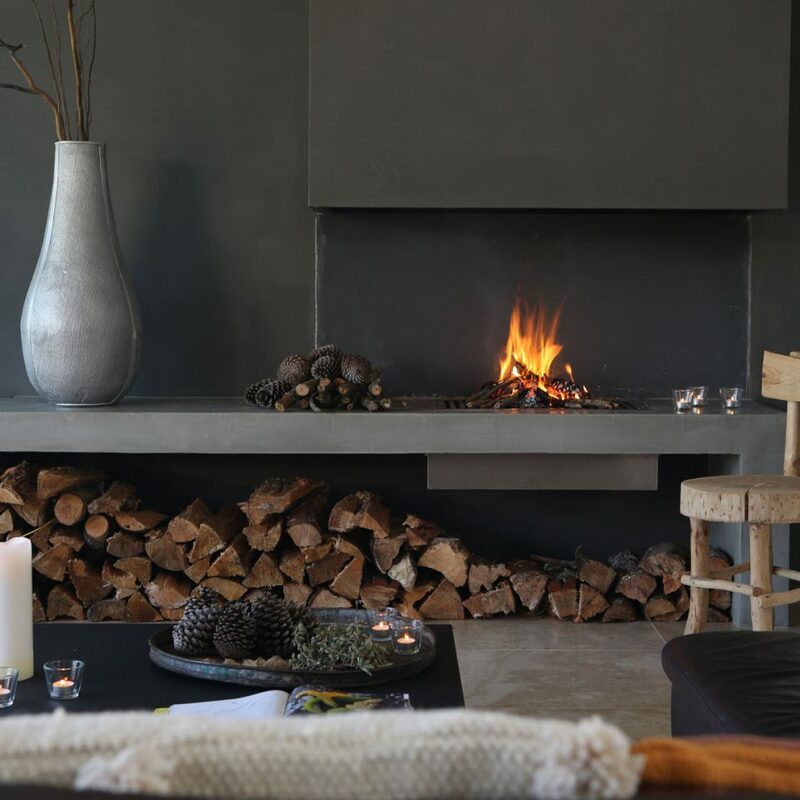 Neutral tones meet dark woods with a decent dose of mood lighting for a relaxing stay. 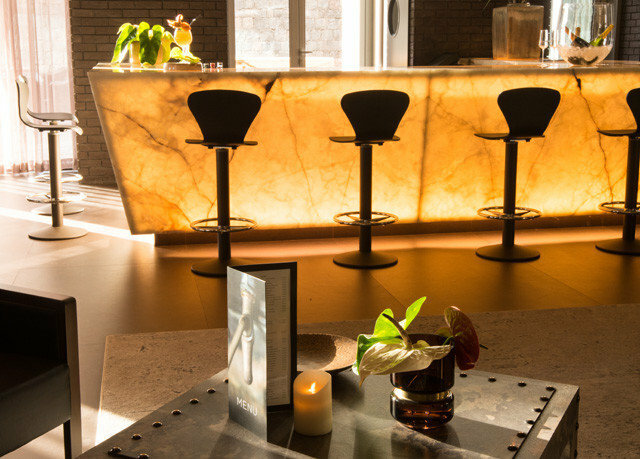 Saccharum Hotel has four inviting bars to choose from, each offering their own unique ambience and a plethora of drinking options. 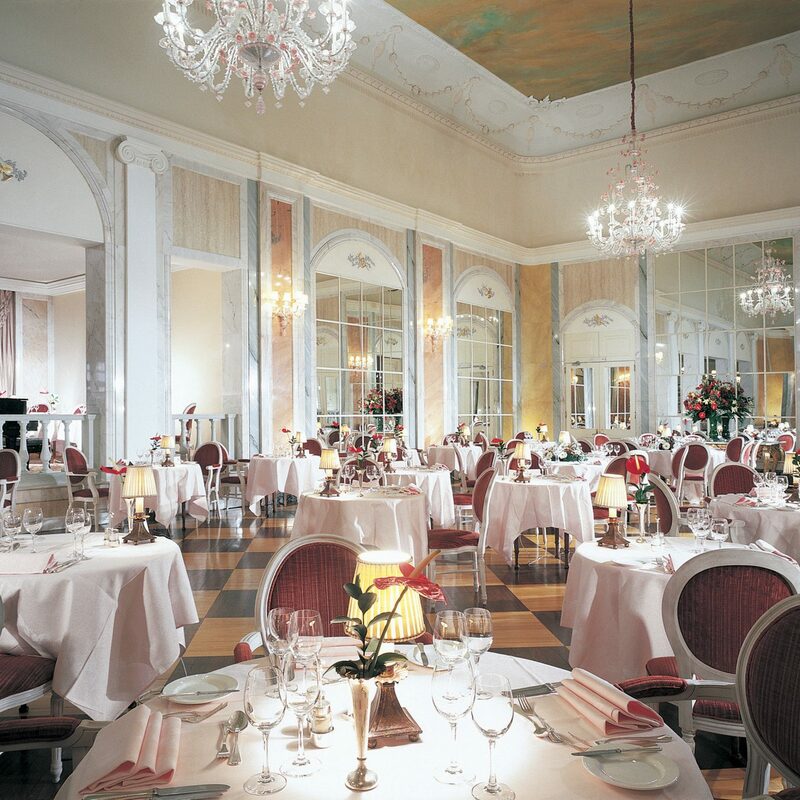 There’s also a buffet restaurant and an à la carte restaurant to choose between. 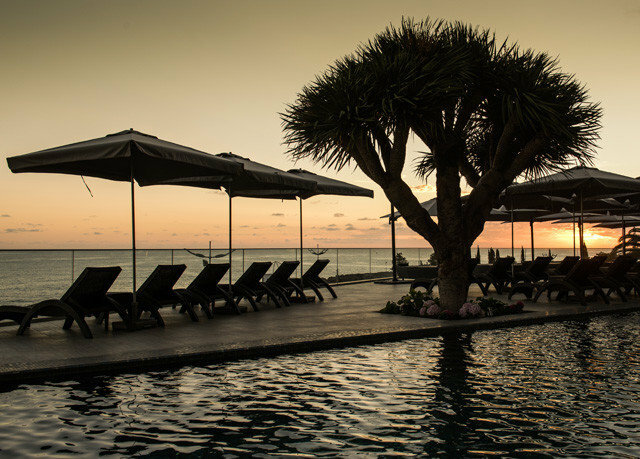 A terrace provides the perfect spot for a bite over those fantastic ocean views, and the barbecue is ready to grill the freshest of the island’s fish and meat. 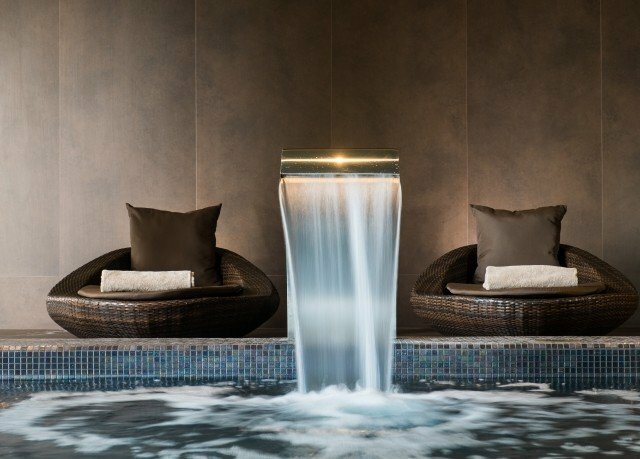 You’ll get to be one of the first to retreat into Saccharum Hotel’s luxurious spa and leisure facilities. 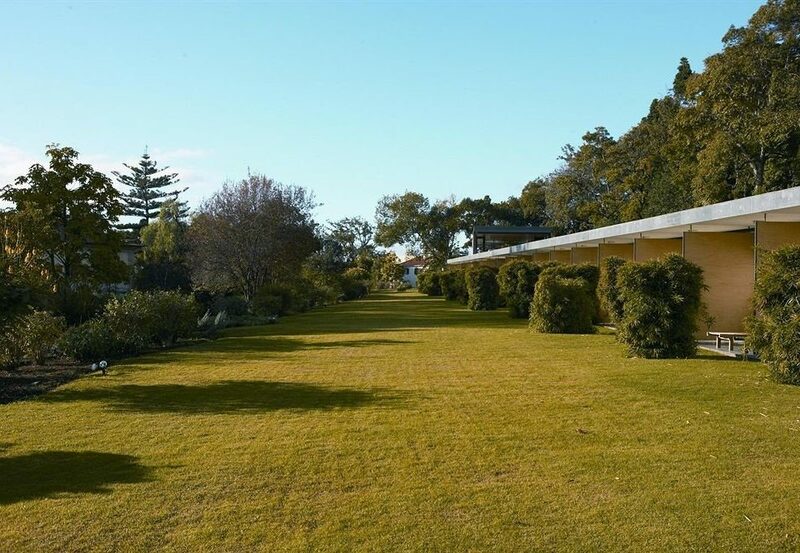 The massage centre and spa area provide some serious serenity, and you’ll find a heated indoor pool, two outdoor pools, a fitness club and a gym. 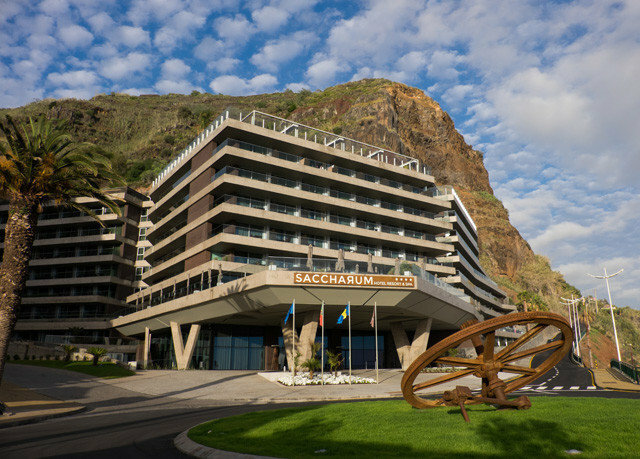 Saccharum Hotel Resort & Spa is located in the Calheta region of western Madeira, an area that held weighty importance in sugar cane cultivation, and it’s this that gives the hotel its name – Saccharum comes from the Latin word for sugar cane. 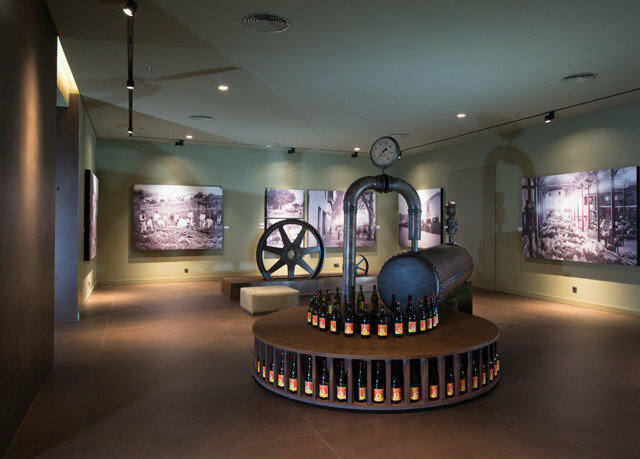 The hotel occupies the site of an old sugar cane mill, and fittingly houses a museum dedicated to this industry. 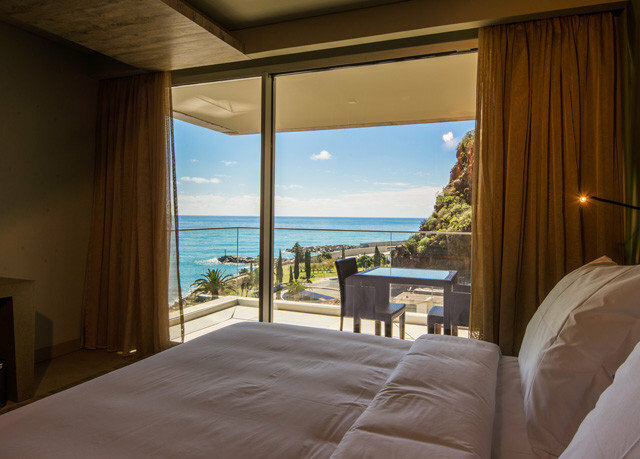 Saccharum is located just 20 minutes from Calheta Marina and sits beautifully between the mountains and the North Atlantic Ocean. 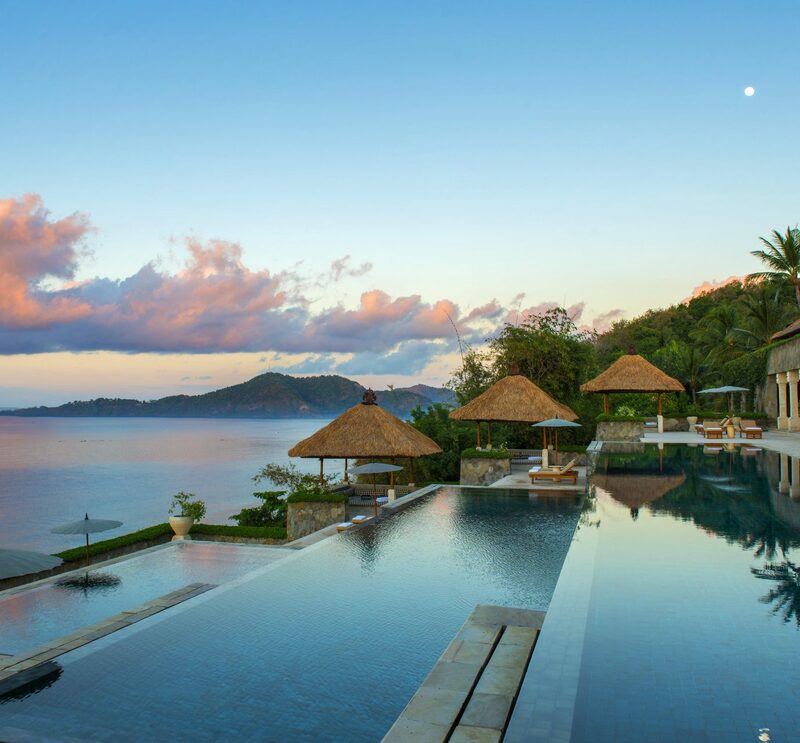 The online photos do not to justice as to how beautiful the hotel is... from the moment you enter you’re greeted by the fabulous staff as you would expect at only a 5 star property. The front desk agent sat us down, checked us in, went over the layout of the hotel and answered all our questions. We had a lovely welcome glass of wine which was a nice touch. The hotels low lighting, immaculate lobby, hallways and rooms ease you into relaxation and the scent and ambiance throughout the property made us never want to leave. It feels like a luxurious spa and that was our welcome to the beautiful Savoy. Our room was lovely with gorgeous views of the Atlantic... the shower huge and amazing. 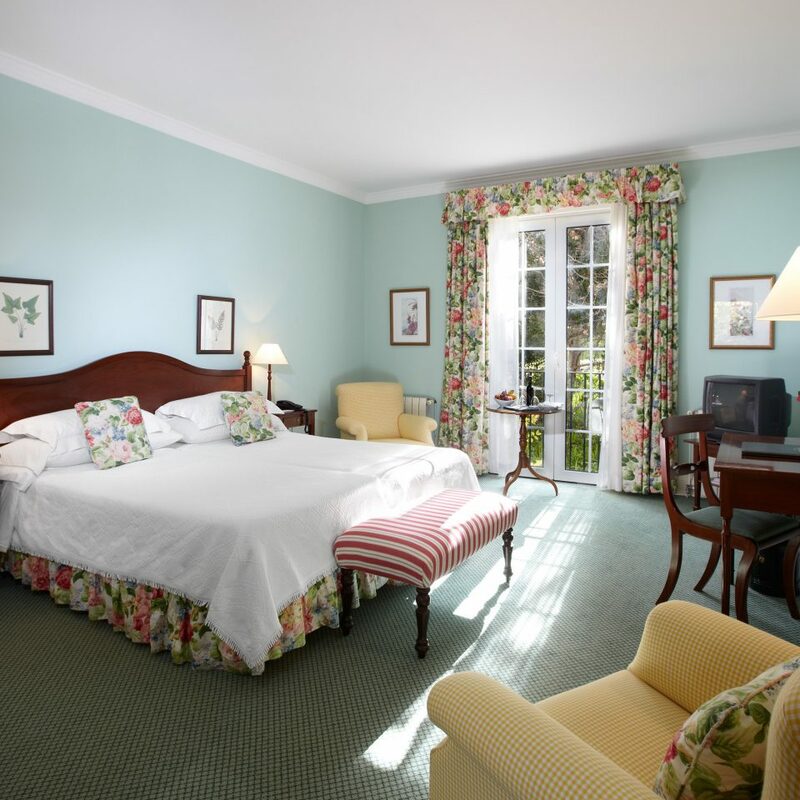 Colors in the room are very muted and it’s immaculately clean and the housekeeping staff lovely! Room service comes with a smile and is first class all the way. There was not one staff member who did not go out of their way to accommodate us. 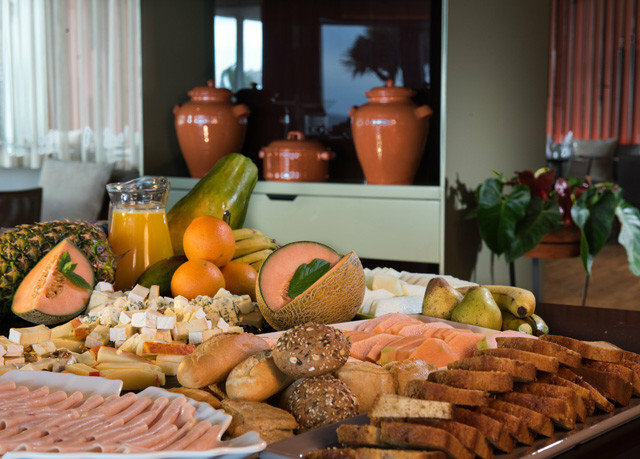 Breakfast is luxurious and one of the best we have ever had. They have everything you could want and the cooks at the omelet station were wonderful. 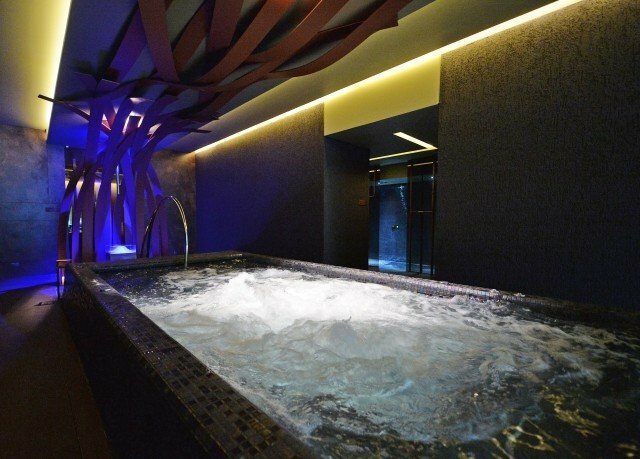 We did visit the gorgeous spa and took full advantage of the steam room, dry sauna, salt room, jacuzzi and pool. 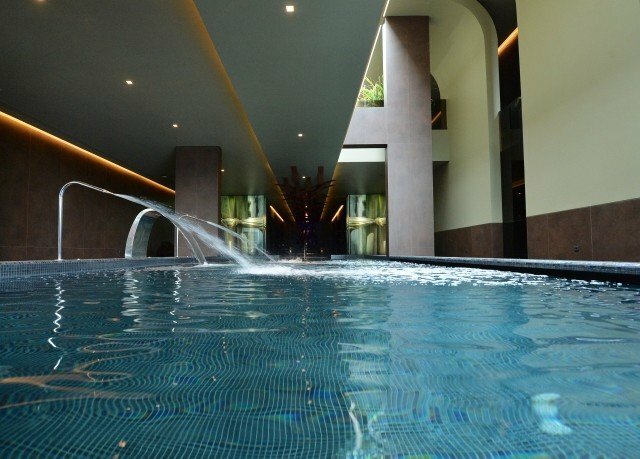 There is always a sense of privacy when you visit the spa as it’s large and never feels crowded. 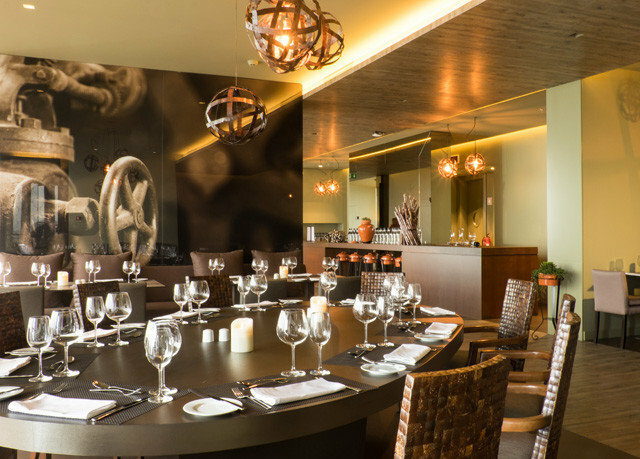 The restaurants are wonderful as are the bars, particularly the one on the eighth floors that’s wonderful for an al fresco cocktail overlooking the Atlantic. On one of the days we met with the hotel manager and his professionalism and graciousness is a great representation of the Savoy Saccharum. 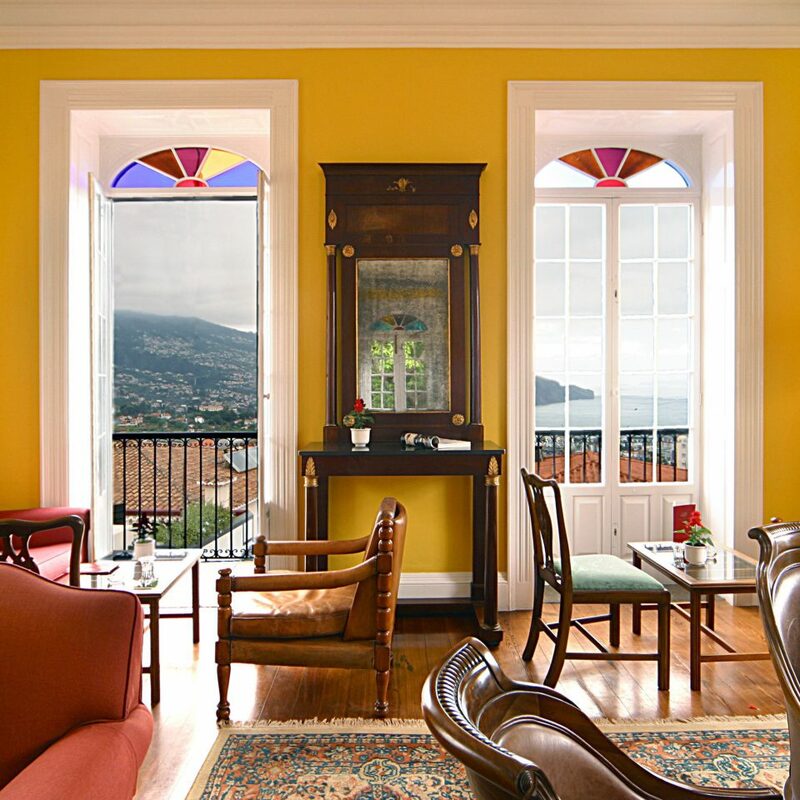 We have just returned to our home in Austin and missing the beautiful Savoy and the gracious island of Madeira. A modern hotel, lovely caring staff, v good range of food at the buffets, am and pm.. We went B&B, and bought 7 days dinner tickets at a good rate, E23 pp per night. On other nights we went to the other Savoy hotel( the other side of the marina) to use their public restaurant. Unfortunately the restaurants round the marina were shut as there had been a rockfall from the cliffs behind. They are working on it, and the marina shops should open again in a month or so. 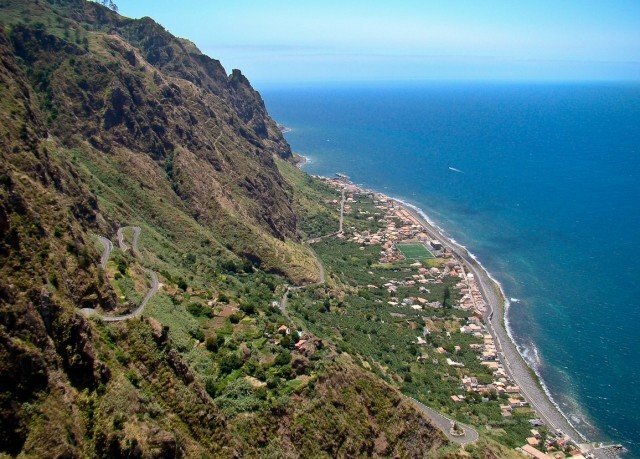 Calheta is a quiet town, we enjoyed the hotels bus trip around the surrounding area. They also run trips to Funchal. 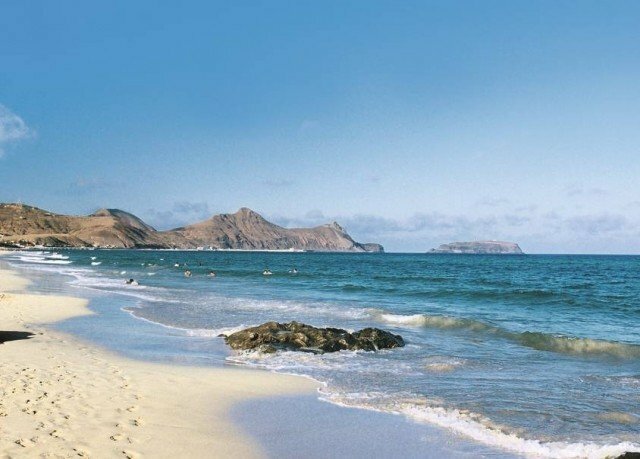 To the immediate west, other side of the marina there are two man-made beaches, a childrens play area and a flat promenade. The hotel colours are brown and dark green, so some areas are dimly lit.Our room fronting on to the sea was large and got a lot of sun through to sunset. The door to the room was large and heavy, so children and frail elderly may find it difficult to open. There were large areas for sunbathing, never crowded when we went. Had an amazing holiday here. We were looking for peace, quiet and recuperation and it ticked all the boxes. Super facilities and lovely staff. Don't go if you are looking for an evening of karaoke its a quiet cocktail and taking in the sea view kind of place. We would go back in a minute!